KANSAS CITY, Mo. — Registration for the 16th Annual Central Exchange Leadership Lyceum, Kansas City’s largest leadership development conference, is now open. The day-long leadership conference will take place on April 23, 2019 at the Overland Park Convention Center from 7:30 am to 5 pm. 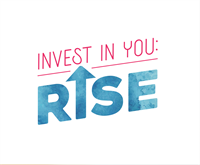 This year’s theme is Invest in You: RISE. Carla Harris, Vice Chairman and Managing Director of Morgan Stanley, will anchor the lineup and will be joined by more than a dozen diverse keynote and breakout speakers who will focus on topics such as: The Millennial Leader, The Balance of Grit & Grace, Making Diversity & Inclusion Part of Your Company’s DNA, Creating Your Work/Life Blend, The Power of Curiosity and Finding Significance.